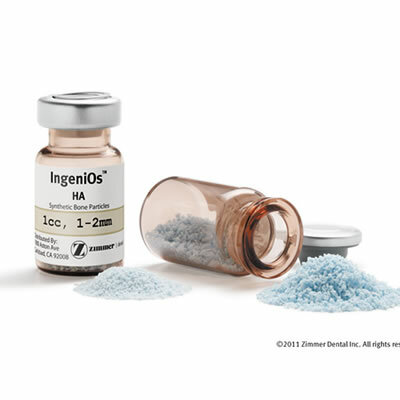 With up to 80% porosity and minimal resorption over time, IngeniOs HA is designed to provide long-lasting support of vascularized bone formation and exhibits radiopacity for easy x-ray identification. For clinicians interested in a 100% nonbiologic, resorbable solution, Zimmer Dental offers IngeniOs-TCP Bioactive Synthetic Bone Particles. Like IngeniOs HA, IngeniOs-TCP is indicated for a variety of dental procedures, including alveolar ridge augmentations, filling periodontal defects, extractions, and sinus lifts.